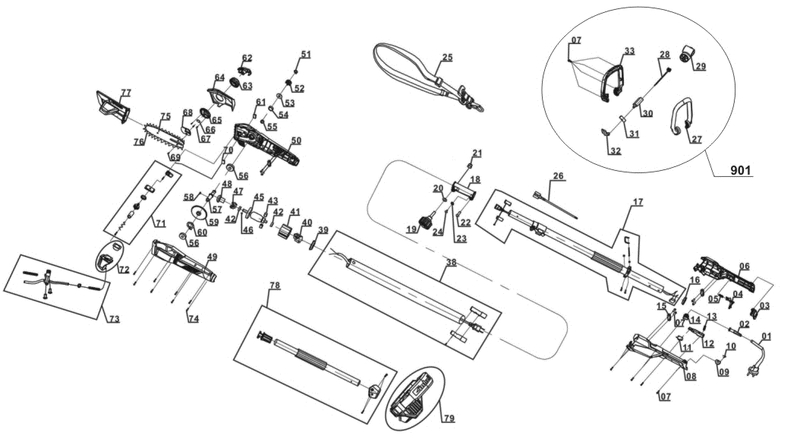 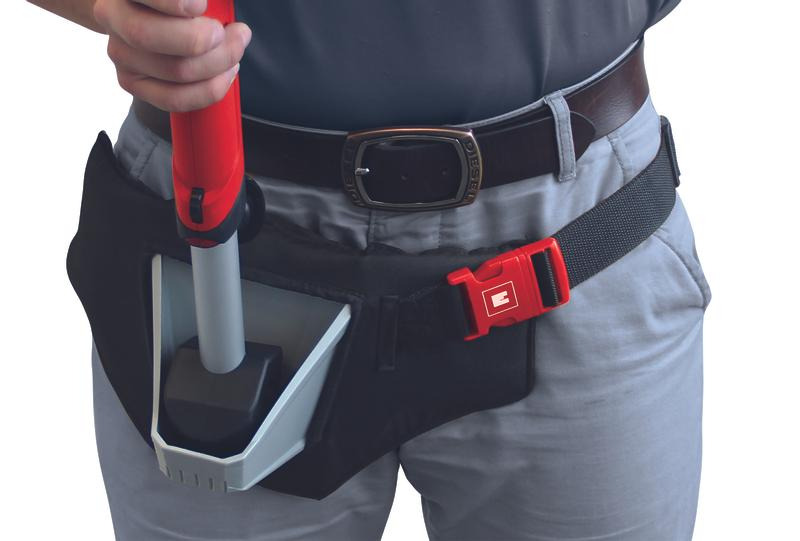 The Kit version of the GE-EC 720 T electric pole-mounted pruner has a high-quality hip carrying strap in addition. 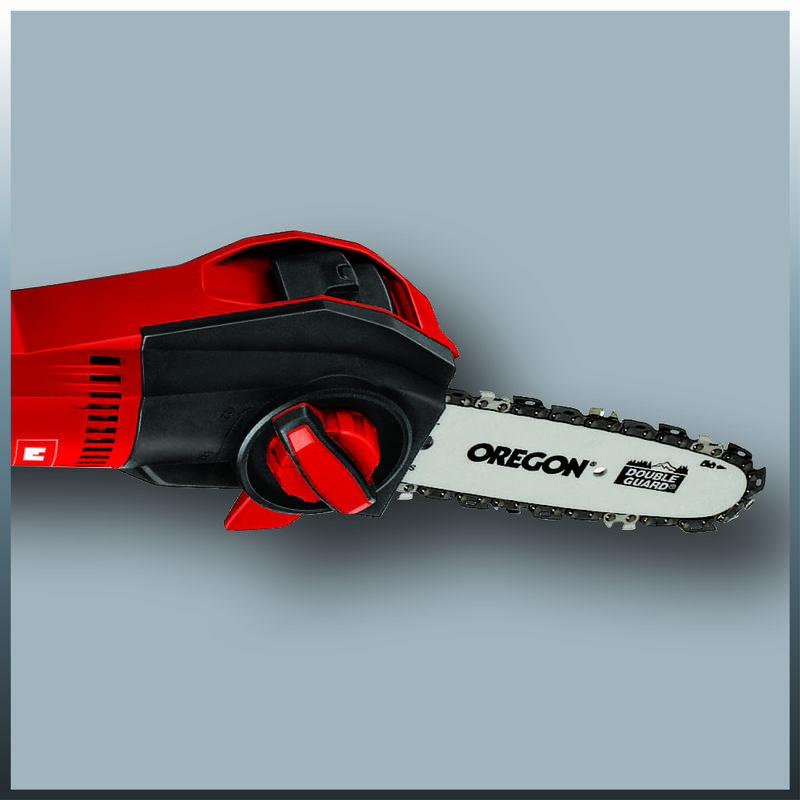 It is an efficient tool for the quick and effortless pruning of high branches from ground level. 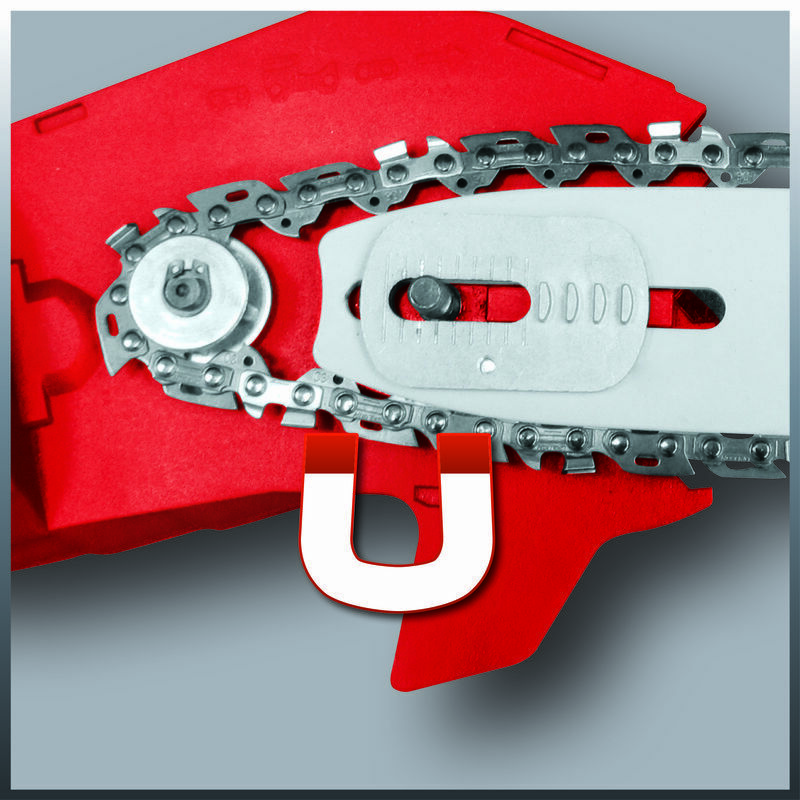 A quality rail and chain from OREGON ensure clean cutting performance. 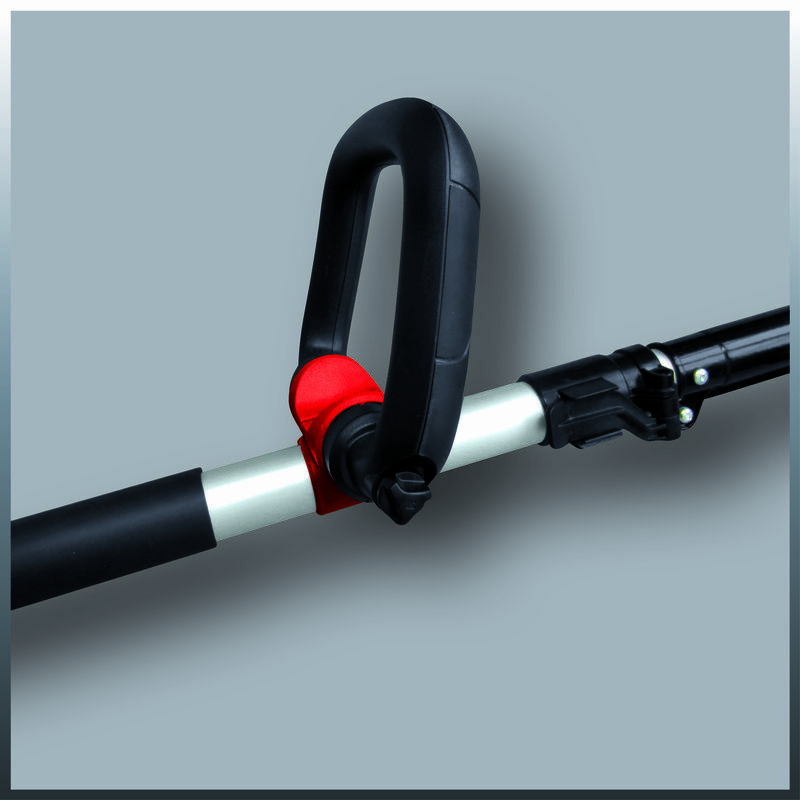 With chain tensioning without tools, the cutter rail secured magnetically and a hip carrying strap, maximum user-friendliness is assured when working. 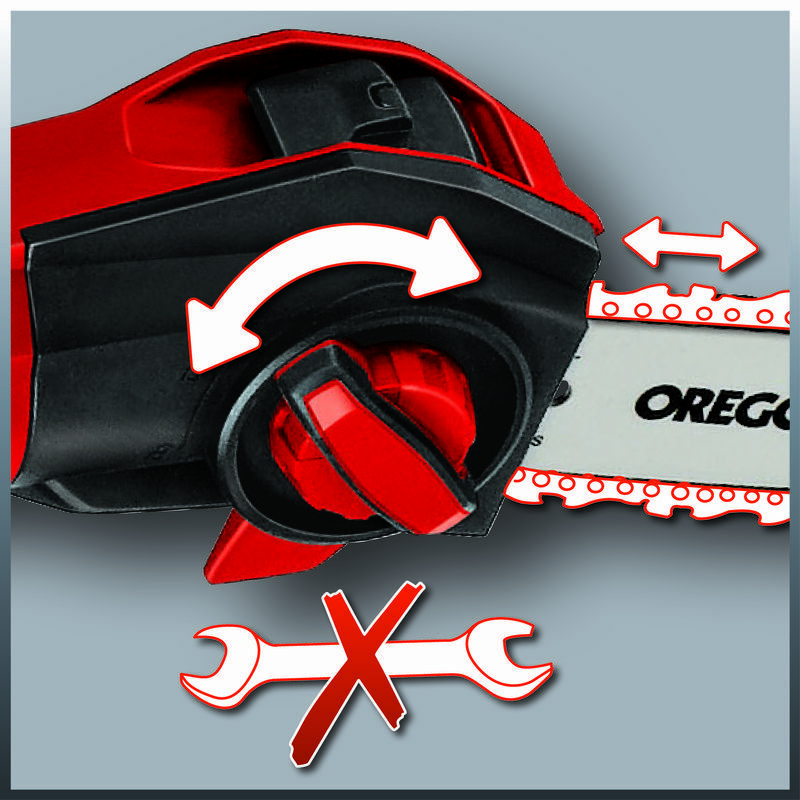 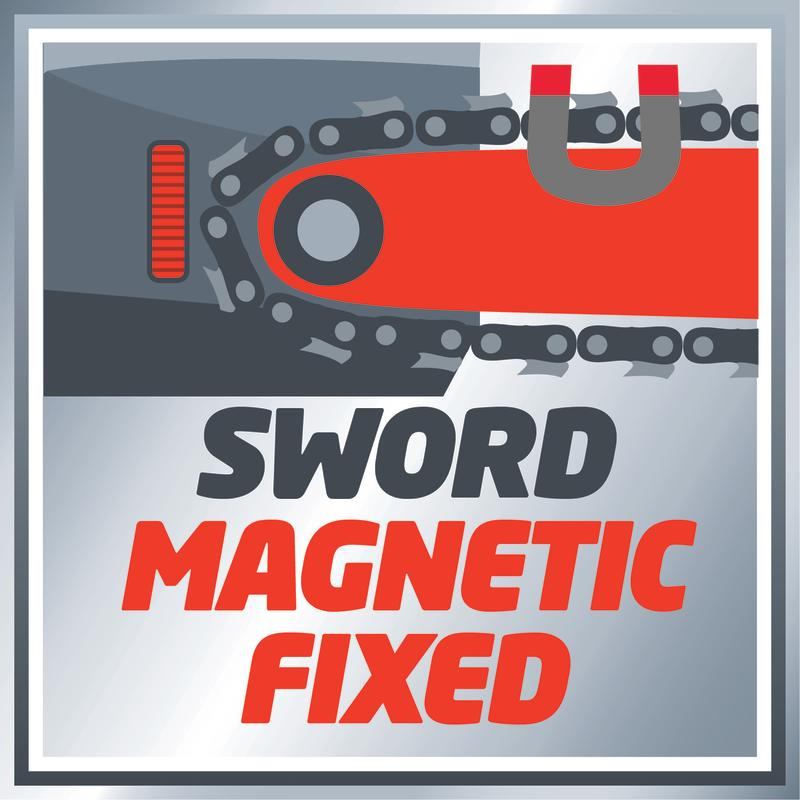 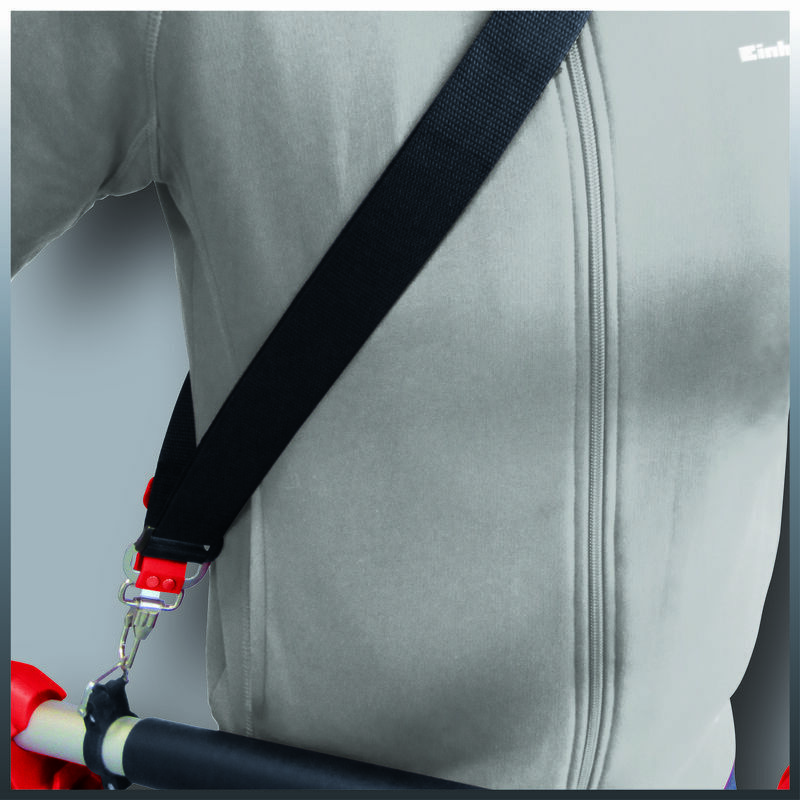 An adjustable additional handle with a quick fastener enables the tool to be handled safely and easily. 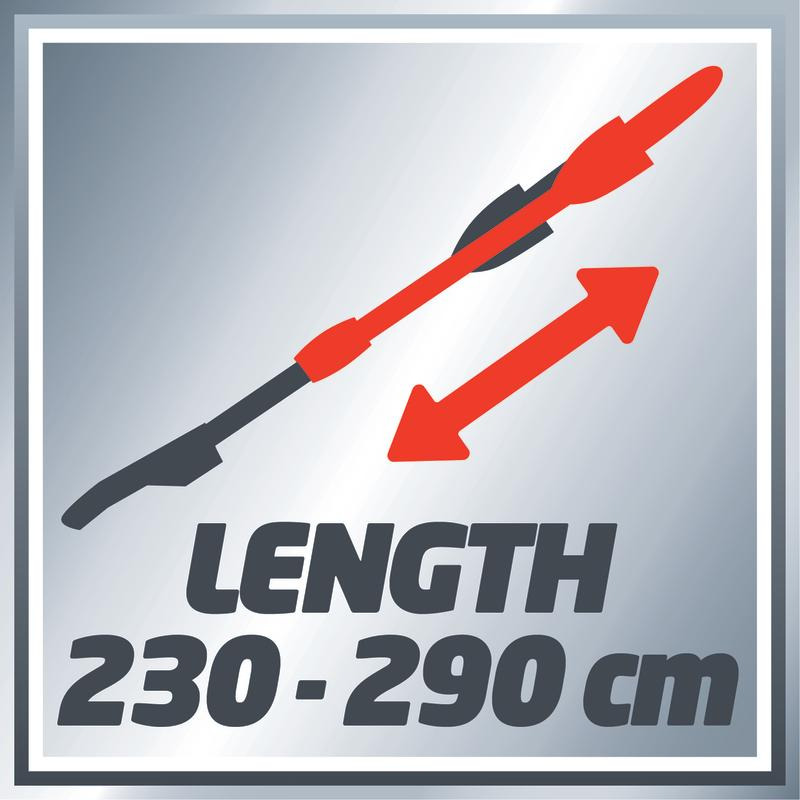 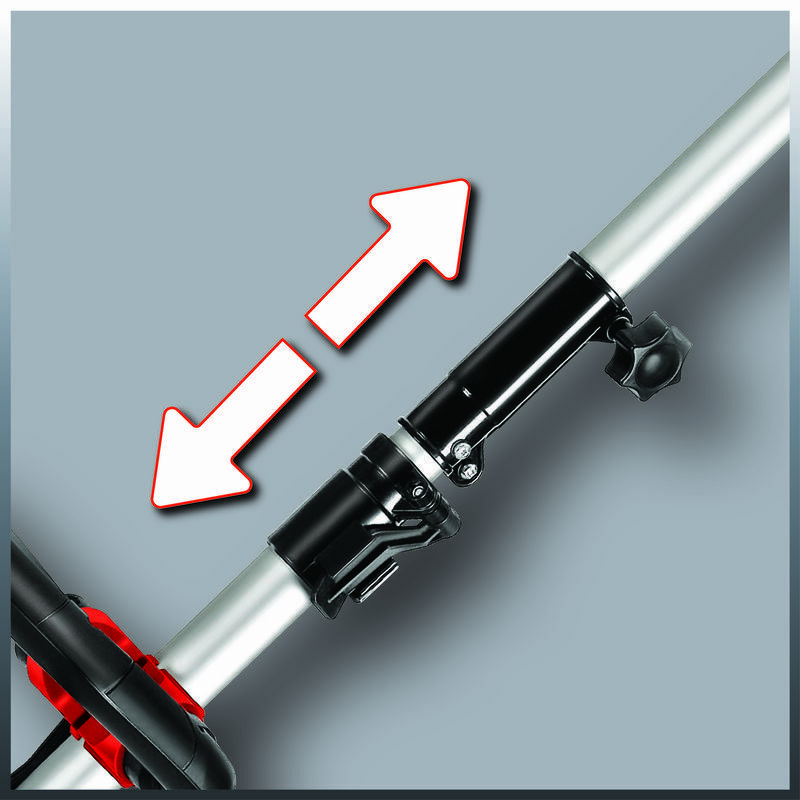 The telescopic handle on the GE-EC 720 T can be adjusted precisely to the required working height. 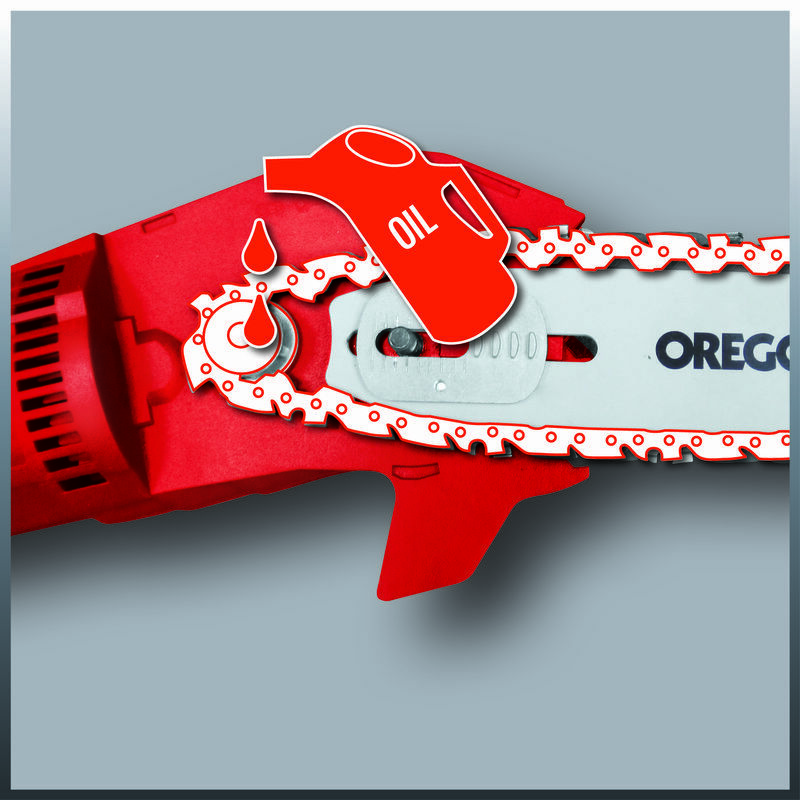 The oil tank of the automatic chain lubrication system has a quick fastener and an oil level gauge so that you can easily check the level of oil. 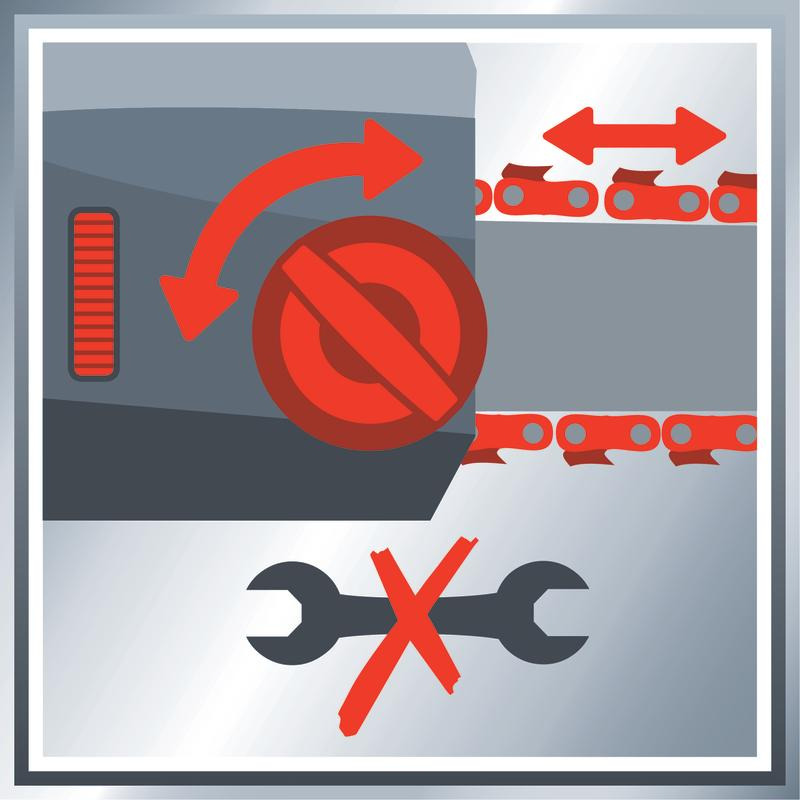 In addition, a practical cutter guard with optimum stability is provided to enable very easy filling with chain oil. 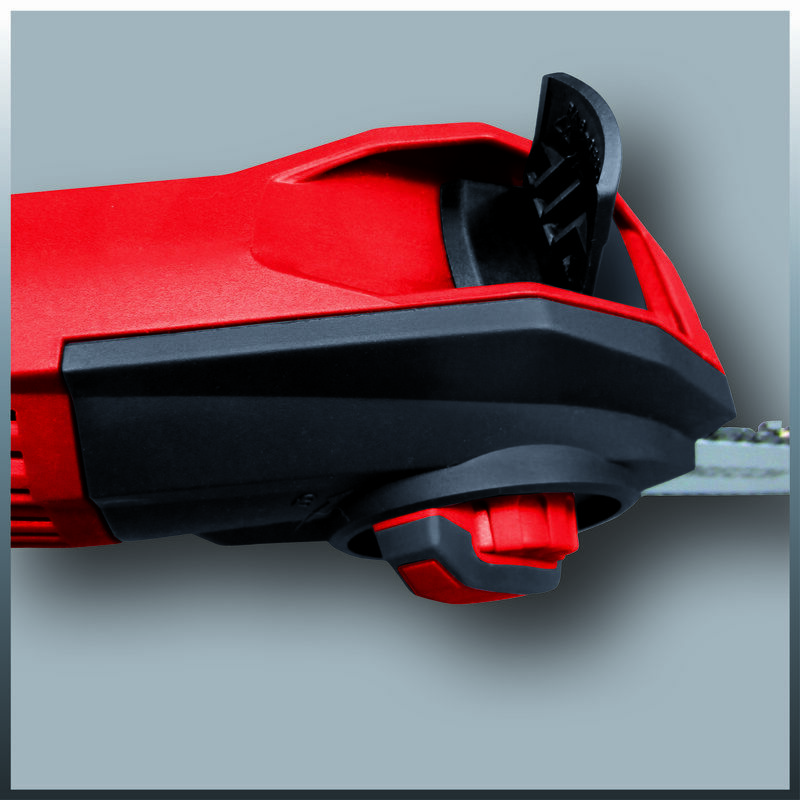 A stress-relief clip protects the power cable.